From right to left in striped singlets are ASICS GTC-ELITE's Zach Mains, Eddie Garcia, Joe Niemiec and Victor Pataky. 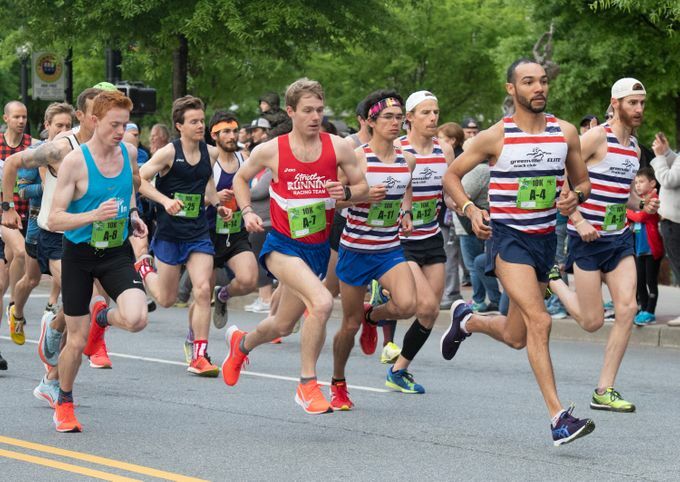 ASICS Greenville Track Club-ELITE's Eddie Garcia placed third in the 42nd TD Bank Reedy River Run 10K in downtown Greenville, SC. After running with eventual winner James Quattlebaum for much of the race, he finished with a time of 30:33 to earn $500 and an additional $100 for second South Carolina resident. Quattlebaum won with a time of 30:18 over the very challenging course. ON ZAP Endurance's Aaron Nelson was second with a time of 30:26. Three of Garcia's ASICS GTC-ELITE teammates also placed among the top nine in the very competitive field. Joe Niemiec, running in only his second race since joining the program, placed seventh with a time of 31:14. He was followed by Zach Mains (8th) with a time of 31:50 and Victor Pataky (9th) at 32:17. Pataky (2585) following Indiana's Murphy over the water barrier. ASICS Greenville Track Club-ELITE's Victor Pataky ran to a second place finish in the 3,000-meter Steeplechase at the Tennessee Relays in Knoxville, TN. On a warm late Friday afternoon, with steady winds buffeting the track down the backstretch, the Centre College graduate ran 9:15.81 in his first attempt at the steeplechase since joining the post-collegiate program last August. Although well off his personal best of 9:03.87, he was competitive for much of the race. Indiana University's Joseph Murphy won in a time of 9:06.08. 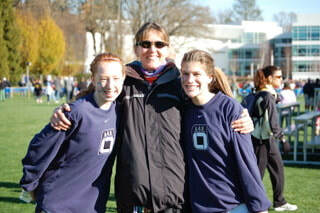 Pataky's teammate, Avery Martin, placed 20th in the 1500 meters with a time of 3:51.69. It was Martin's second competition since joining the program in late February and a big improvement over his initial 1500 last month. ASCIS Greenville Track Club-ELITE's Eddie Garcia ran 29:57 to place 10th overall in South Carolina's largest road race. On an overcast and humid morning the 2015 Southeastern Conference 10K champion covered the first half of the Cooper River Bridge Run 10K race in 15:18. He then ran the second half of the race, which includes the decline coming down the bridge, in 14:39. Garcia was the third American to finish as Colin Beenie (29:01) was 7th and Jordan Mann (29:54) ninth.The first six finishers were either Kenyan or Ethiopian as the winner, Kenya's Silas Kipruto, ran a speedy 27:58. ​With the gun-time temperature at 66 degrees and the humidity hovering near 95 percent, the 6.2-mile race presented challenges, but a thick fog settled over the Arthur Ravenel Jr. Bridge and very light winds made the course not has daunting as in years past. There were 29,230 finishers. Eddie earned $250 for his overall finish and $1000 as third USA citizen for a total of $1250. 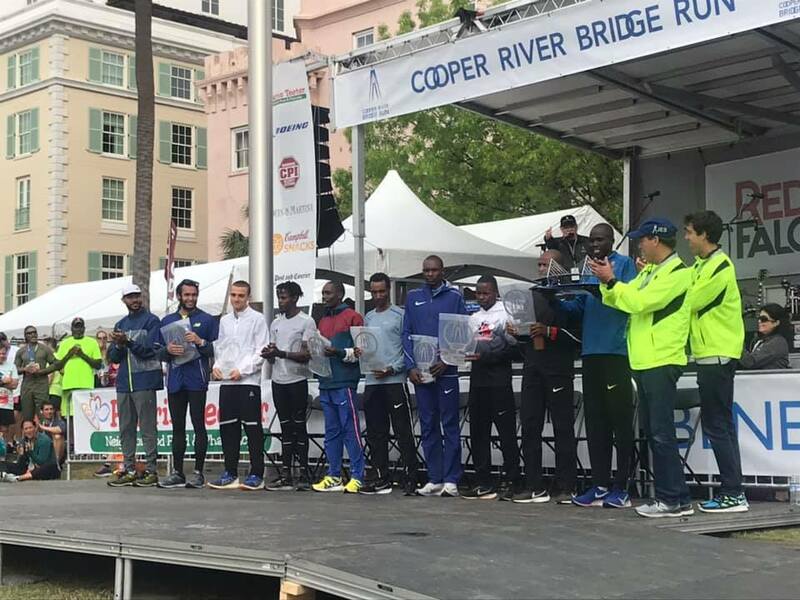 Top 10 Men at Cooper River Bridge Run 10K. Eddie Garcia on left. ASICS GTC-ELITE Continues Partnership with Final Surge. ASICS Greenville Track Club-ELITE, the Greenville, SC based post-collegiate, Olympic-development program, is proud to announce it is continuing their partnership with Final Surge. 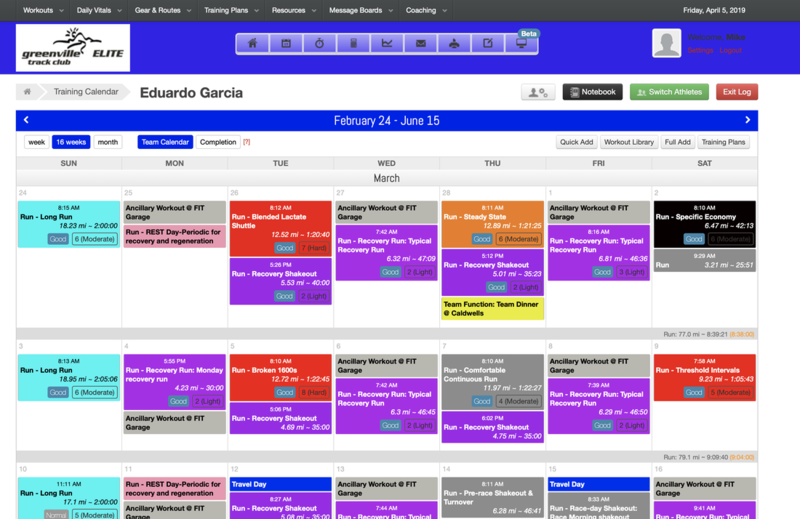 Final Surge is an application providing communication between coaches and athletes for planning and recording their training. "We have been utilizing Final Surge for the past two years to communicate with our athletes in both a planning and real-time on-line environment," stated Director/Coach Mike Caldwell. "While we previously used other on-line systems, we believe Final Surge meets our needs the best. We can plan training on both an individual and team basis and quickly make the necessary changes that are needed to adapt to the results of the training cycle. The staff at FS have been very responsive to our needs as their system continues to evolve." "While our coaches usually use FS on our computers so we can view work with a more holistic overview of the training cycle, we really like the capacity to access the program on our mobile devices when at the training venue. We also like that our athletes can quickly upload their completed training session from their GPS and smartwatches. With the almost real-time results and comments, we can ensure that we are flexible in our training plans and make appropriate changes when necessary." Train with a Purpose™Final Surge is dedicated to bringing athletes and coaches of all types the very best online training product on the market. Founded and created by both athletes and coaches, we understand your needs in today's training environment. 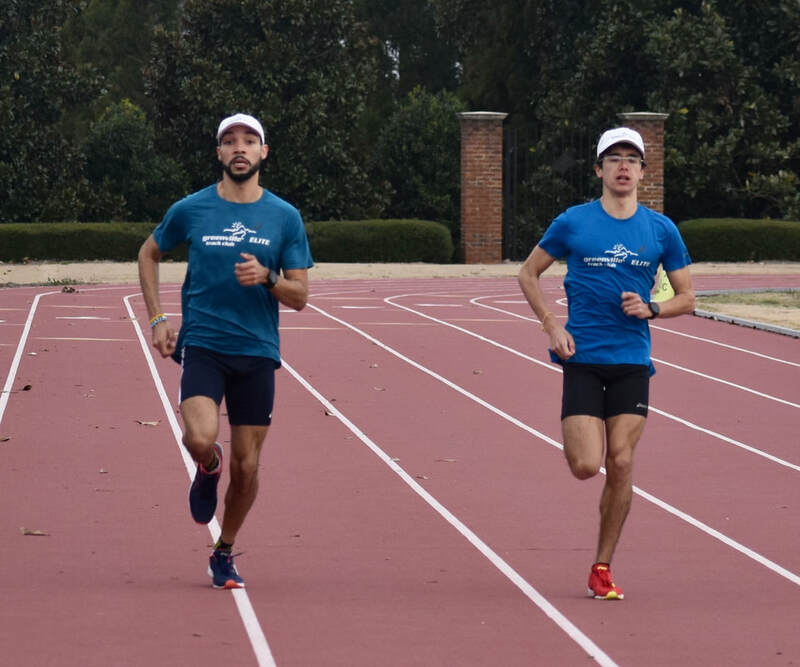 ASICS Greenville Track Club ELITE's Eddie Garcia returned to completion following his 2:18:50 performance at the Chevron Houston Marathon in January and placed second in the 5,000 meters at the 49er Classic in Charlotte, NC. On a cooling Friday evening, with slight winds, Garcia circled the Charlotte University (UNCC) track 12.5 times before crossing the finish in second place with a time of 14:31.98. After starting near the back of the 29 runner field, Eddie worked his way up to the lead pack by 3000 meters. However Aaron Wier, the eventual winner, surged ahead after 3500 meters and opened a gap that he held for the win in 14:22:46. Garcia's ASICS GTC-ELITE teammate, Victor Pataky, ran with the lead pack for much of the race before finishing 5th with a time of 14:49.68. It was Pataky's first race on the track since joining the program in August of 2018. 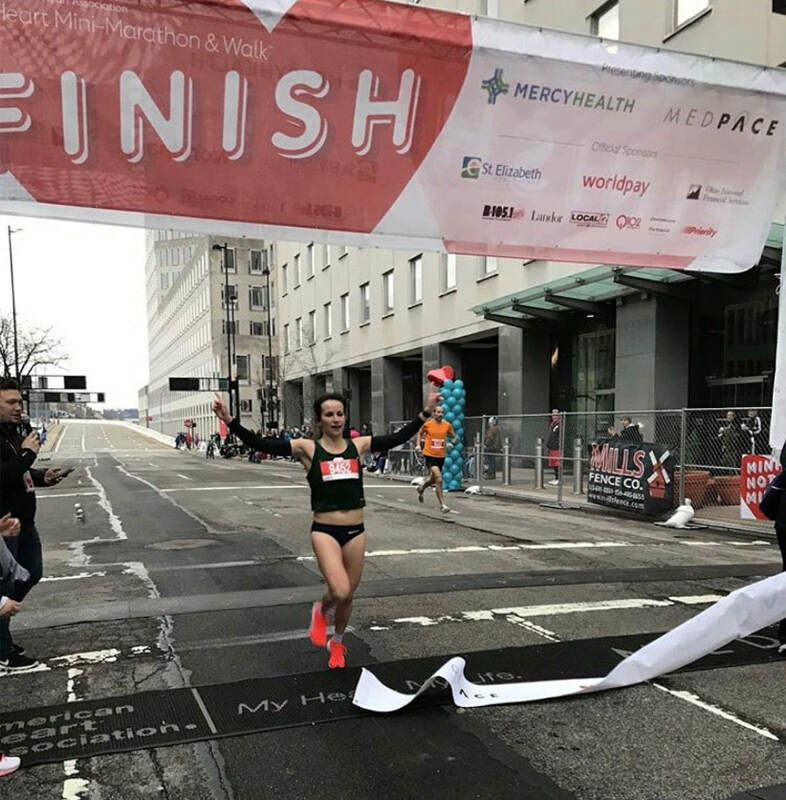 In her final competition before relocating to Greenville, SC and joining the ASICS Greenville Track Club-ELITE post-collegiate, Olympic-development program, Cristina McKnight won the Cincinnati Heart 15K race in the Ohio city. She ran 56:40 over the hilly route on a windy morning. 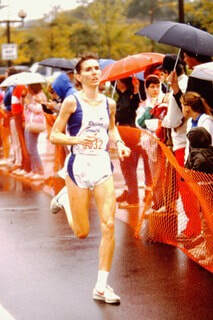 It was a personal best for McKnight, who only began competitive running a couple of years ago. ASICS Greenville Track Club-ELITE is excited to announce that Cristina McKnight will soon be joining the post-collegiate, Olympic-development program based in beautiful Greenville, SC. "Cristina is an up-and-coming young runner, who did not compete in either high school or college," stated Director/Coach Mike Caldwell. "Coach Laura Caldwell and I were very impressed with her story of recently becoming a competitive runner and her progression over the past year. We established ASICS GTC-ELITE as a 'developmental' program and we believe Cristina has the potential to fit in well with our current group of athletes and our program philosophies." McKnight was born in Madrid, Spain and holds dual citizenship for her birth country and the United States. She was raised in Michigan and graduated with a degree in Statistics from Michigan State University in 2018. She currently works in Cincinnati, OH. 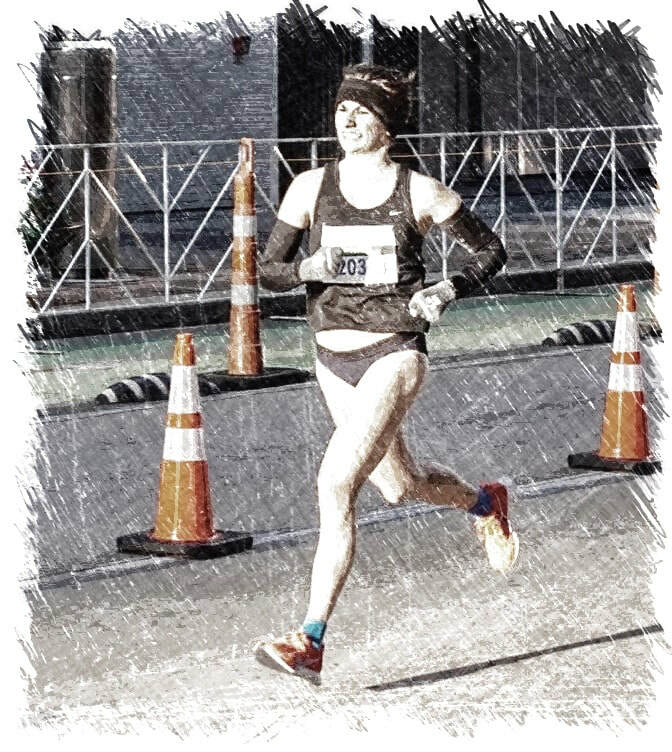 Cristina recently ran 1:18:21 in the Houston Aramco Half Marathon in Texas and currently lists that distance as her favorite for competition. She will focus on distances from the 10K up to a future marathon. 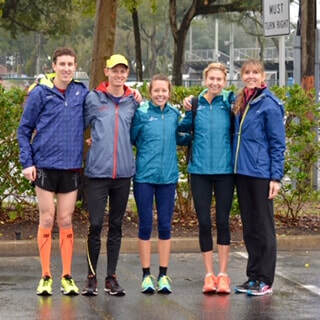 ASICS Greenville Track Club-ELITE's Zach Mains ran a personal best of 1:08:24 to place sixth in the Prisma Health Half Marathon on Saturday. His time was 21 seconds faster than his previous PB, which was set last November in Richmond, VA's Markel Half Marathon. 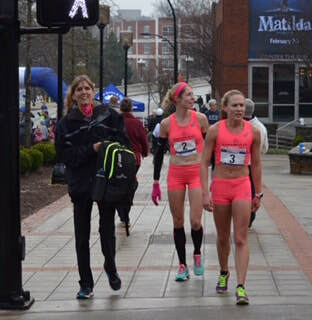 The Prisma Health Half Marthon is a 13.1 mile race that starts in Travelers Rest and runs south along the Swamp Rabbit Trail to downtown Greenville, SC. The race was won by Kenya's Eliud Ngetich, who set a new course record of 1:05:33. Fortunately, the almost continual rainy weather abated for most of the race and the temperature was a conducive 44 degrees.